Austria is in the centre of Europe so it is easy and relatively cheap to travel across the whole continent. You can get to Budapest, Bratislava, Prague or Zürich in just a few hours. There are tons of ways how you can travel from one country to another. First of all, you can choose to travel by bus which is a fairly budgeted option. On the website Checkmybus you can search for the best deals. For example, a trip from Vienna to Budapest costs only €18 and €6 from Vienna to Bratislava. Another option is budget airlines. It is the perfect choice if you want to travel not just to the neighbouring countries but a bit further. The two most popular budget airline carriers are easyJet (eg. 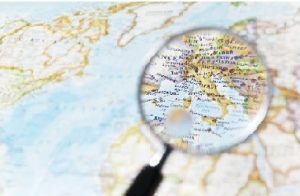 : Vienna to Berlin one way ticket prices start from €27) and Ryanair. Moreover, on Google Flights you have the opportunity to compare prices between airlines. The third option is traveling by train. You can either book your ticket at ÖBB or Eurail. 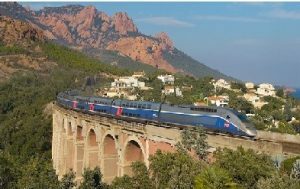 Eurail offers a bunch of options to travel across Europe. If you want to travel around whole Europe you can save a lot by buying a Global Pass at Eurail (it costs from €300 upwards. for 28 countries for 5 days in one month).The prices depend on the chosen amount of countries and the duration of the ticket. Apart from transportation you have to keep in mind that accommodation can cost a fortune if you don’t do your research properly. There are tons of ways to save on your accommodation. You can choose to stay in a hostel or to use AirBnB. If you prefer more the traditional ways, you can easily find great deals ranging from private apartments to hotels.